The Fritz Pollard Alliance, which has promoted equal opportunities for minorities in NFL hiring since its founding in 2003, downplayed concerns Tuesday over the Raiders’ potentially skirting the Rooney Rule amid a deal with Jon Gruden appearing imminent. 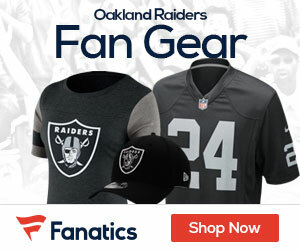 “I would trust the judgment and integrity of [Raiders owner] Mark Davis and [general manager] Reggie McKenzie to the point that they have already spoken to minority candidates who could be available veteran coaches, just like Jon Gruden is a veteran ex-coach,” Fritz Pollard Alliance chairman John Wooten told ESPN on Tuesday. ESPN’s Adam Schefter has reported that Gruden is expected to become the Raiders’ next coach following nine seasons as an ESPN analyst. Gruden confirmed his candidacy with the Raiders during a Tuesday interview with the Bay Area News Group. “Well, I think I am being considered, yes. I hope I’m a candidate,” he said. Gruden told the Bay Area News Group that he expected the team to interview candidates this week before deciding sometime next week. “I think the league — the clubs — have all adopted a way of doing business that we feel is very, very open and conducive to what all of us are trying to do, and that is to have an open league, and certainly you have seen it,” Wooten said. Wooten encouraged qualified minority candidates to interview for the Oakland job and other jobs even when reports suggest that teams are set on hiring someone else. In the past, he encouraged current Los Angeles Chargers coach Anthony Lynn to interview for jobs despite Lynn’s publicly stated concerns about being brought in simply to fulfill the Rooney Rule. Lynn did interview for the New York Jets’ vacancy in 2015, when another minority candidate, Todd Bowles, was hired. Lynn, then a Jets assistant, resisted other interview opportunities.